This athletic denim dress will bring fresh style to your casual streetwear. Dark wash mid-weight stretch denim, with green top-stitching. The pieced skirt has front pockets, and a black ribbing hem. 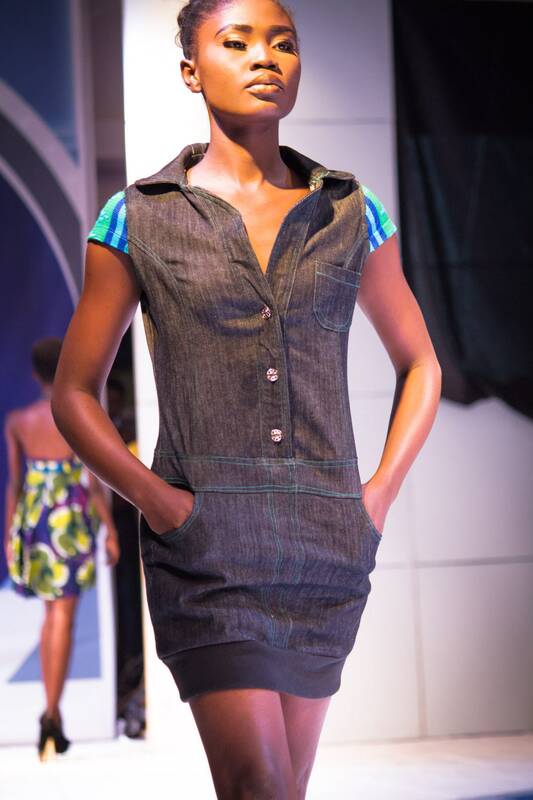 The bodice is collared and button down, with cap sleeves in green and blue kente cloth. Kente is a handwoven textile from Ghana, I source the kente directly from a weaver in Bonwire Village. Dress is machine wash cold, tumble dry on perm press. 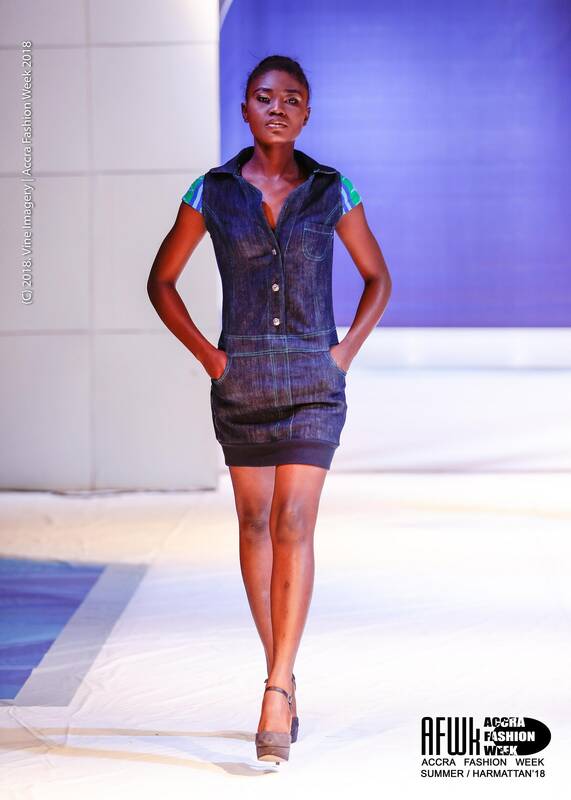 As seen during Accra Fashion Week in Ghana, as part of the Tidal Cool Lagoon Spring Summer Collection 2019.